Introduction: Since the year 1986, Wheel Vintiques has become a leading manufacturer of the specialty wheels for trucks, classic cars, muscle cars and street rods. The company has a vast and wide range of product line that covers around 80 various styles of steel, cast alloy, billet aluminium wheels, and wires. Wheel Vintiques constantly work on turning your dream car into the reality. In this article, we have come up with Top 7 best wheel vintiques that you might want to consider as an option for your car or truck or any automobile. These wheels are styles in Ford & Chevy style. This 62 series O.E. wheel is available in various sizes starting from 14-17’’. You can easily upgrade your truck or car’s look with this series wheels. You can even customize the wheels as you can choose different caps according to your preference & style. This series offers various sizes. It also offers bare finish which includes painted primer. 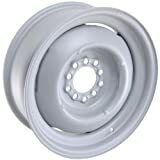 These wheels are used in lug nuts, factory hubcaps and even trim rings. However, these are usually sold separately from the main product. 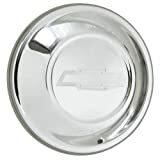 The Corvette Rallye rims are using the standard Chevy bolt pattern (5 x 4-3/4”). Just like the originals, they are also painted silver. These wheels are compatible with conical lugnuts, acorn lugnuts, trim rings and factory GM hubcaps. Just like the originals, these wheels are also painted silver. They come with 15” x 10” size. The rear spacing of the same is 5-1/2” and it offers bolt circle of 5 x 4-3/4″. This wheel offers the variety of sizes that come with a fine chrome finish. Hence, this series is one of the most popular series in the automobile industry. 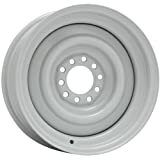 These series wheels are usually compatible and can work well with lug nuts, trim ring, and factory hubcaps. 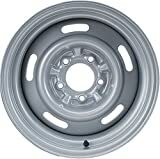 These wheels are the latest & modern version of the 1940-48 Ford truck wheels and passenger cars. It comes with a premium quality finish which is absolutely ready for painting or powder coating. The center caps and trim rings do not come with a product but one can buy them separately. The product comes with a size of 15” x 6”. The rear spacing offers the size of 3-3/4” and the bolt size offers 5 x 4-1/2” and 5 x 4-3/4”. This product is a qualitative reproduction of the many famous specialty wheels and popular stock. The material used in this product is OE style that gives an accurate fitting and looks to the product. The product offers accurate logos and emblems too. Before buying any wheels just have a look at your needs and compare it with the specifications mentioned in the blog. This comparison will serve as a ready-reference for your purchase. If you want more such updates then Stay tuned with us….